Blanchard, O J, and D Leigh (2013), “Growth Forecast Errors and Fiscal Multipliers”, IMF Working Paper 13/1. IMF (2017), “Greece : Ex-Post Evaluation of Exceptional Access Under the 2012 Extended Arrangement”, IMF Staff Country Reports, February. Wyplosz, C (2011), “Debt Sustainability Analysis: Mission Impossible”, Review of Economics and Institutions 3(2): 1-37. 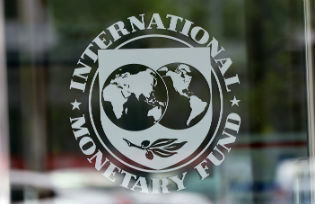 Wyplosz, C, and S Sgherri (2015), “The IMF’s Role in Greece in the Context of the 2010 Stand-By Arrangement” in: The IMF and the Crises in Greece, Ireland, and Portugal: An Evaluation by the Independent Evaluation Office, IMF. Zettelmeyer, J, E Kreplin, and U Panizza (2017), “How high for how long? Examining the “realism” of primary surplus assumptions for Greece”, unpublished, Peterson Institute for International Economics.